Feb 19, 2013 If you can contact us directly we'd be more than happy to help you with your situation. You can contact us via phone, 877-869-3310, or by email support@instaflex.com. Review #190526 is a subjective opinion of User190526. I agree!!!! 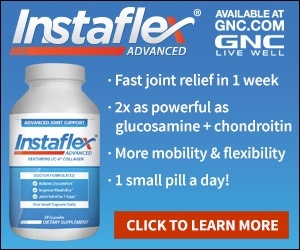 Instaflex is a scam!!! I want to get them off the market. They lie and charged my credit card without permission and I did not order anything. You pay shipping for the free trial and then they charge your credit card for the free trial shipping then charge you $74.98 for a order you did not place. I'm going to get something done about it and I don't care how much it cost. This is illegal!! !